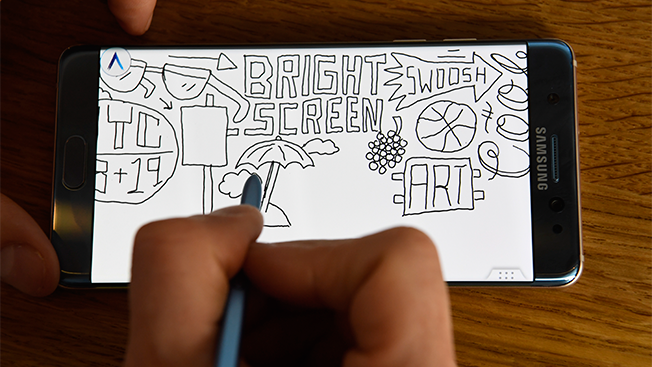 Samsung is bringing art to life by sponsoring one artist's quest to draw his way across the U.S.—and showing off the features of its Galaxy Note7 smartphone along the way. 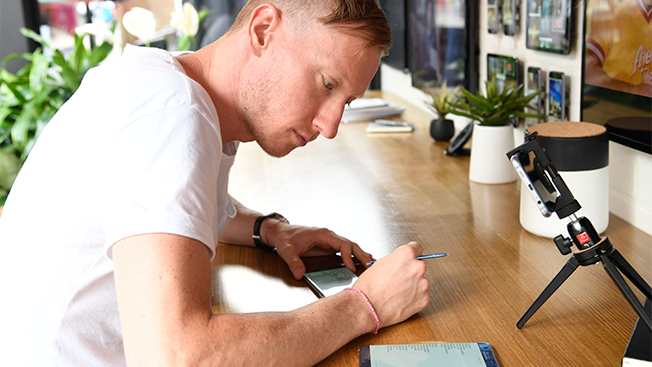 Artist and illustrator Timothy Goodman—co-author of the 40 Days of Dating blog with Adweek Creative 100 honoree Jessica Walsh—is traveling across the country as part of an interactive art project for Samsung, using the "S pen" from the brand's smartphone to draw local sights. His tour, which began in New York on Aug. 19, is now headed to Chicago, Atlanta, Austin and Los Angeles, and will end in Seattle on Sept. 9. Samsung worked with agency Iris on the activation, in partnership with T-Mobile. Goodman is taking inspiration for his drawings from photos submitted on social media and local attractions, like Millennium Park in Chicago and Venice Beach in Los Angeles. A website, Note7Studio.com, displays Goodman's artwork and livestreams videos of the drawing events in each city. People can submit photos for the project on social media using the hashtag #Note7Studio. "It's a fun, creative way to get people thinking about the phone. It shows off the features and gets people hooked on them in a new way, and it opens up people's minds to thinking about the phone and the pen differently," said Chelsea Hamilton, Samsung's marketing specialist. "[Goodman] fits into the Samsung persona: He's young, hip and stylish. He helps us reach a younger demographic." Goodman says he's enjoying the conversations he's having with the audiences at each event so far. "When you're drawing live, in front of an audience, there's a humanity to it," he said. 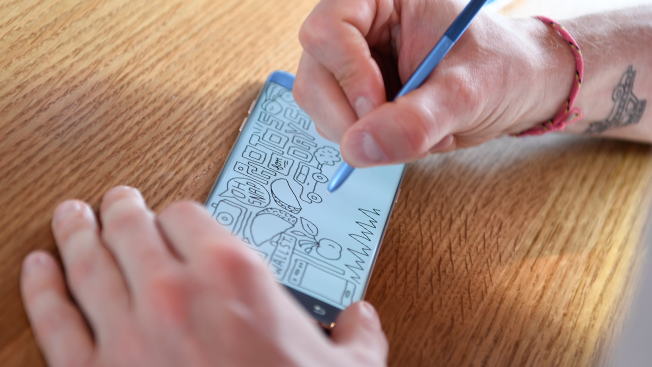 "I'll talk to people and incorporate something they like about Samsung into the art. There's a great dialogue that's happening between me, the brand and the audience."